Bachelor of Astroomy at the University of Bolonia. Priest since 1987. Doctor of Theology (1991). 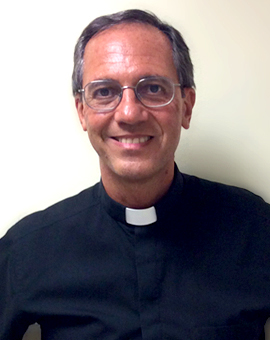 Professor of Fundamental Theology of the Pontifical University of Santa Cruz in Rome, and visiting Professor of the Faculty of Philosophy of the Pontifical Gregorian University. For a number of years involved in scientific research in the field of radio astronomy and cosmology as a researcher of the Institute of Radio Astronomy CNR of Bolonia and then at the Astronomical Observatory of Turin. Co-Author of the first Catalogue of Radial Velocities of Galaxies (A Catalogue of Radial Velocities of Galaxies, Gordon and Breach, New York, 1983).